Howard Elliott 51276N - The Soho Mirror is a small little mirror, but big on style. It features a round frame with grooved edges. It is finished in our custom glossy nickel lacquer. What really makes this piece remarkable is the convex mirror which makes for the most interesting reflections. 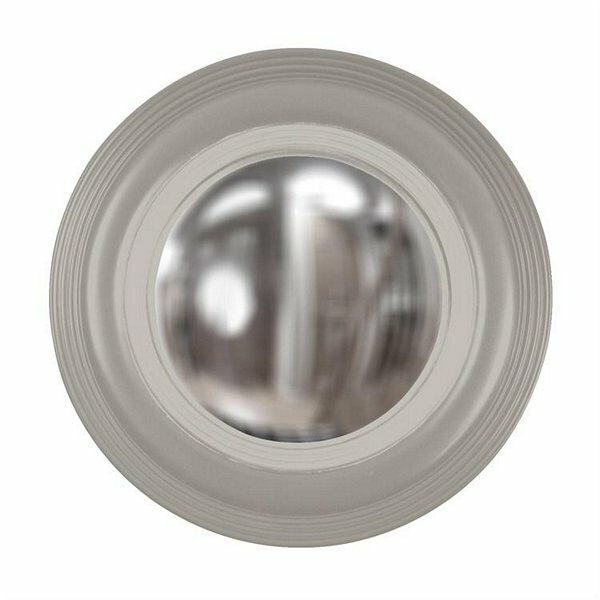 On its own or in multiples, the Soho Mirror is a perfect accent piece for an entryway, bathroom, bedroom or any room in your home. D-rings are affixed to the back of the mirror so it is ready to hang right out of the box! Overall Dimensions: 14" Dia x 2"